The holidays are definitely known more for great food and drinks than they are for lots of good training time. 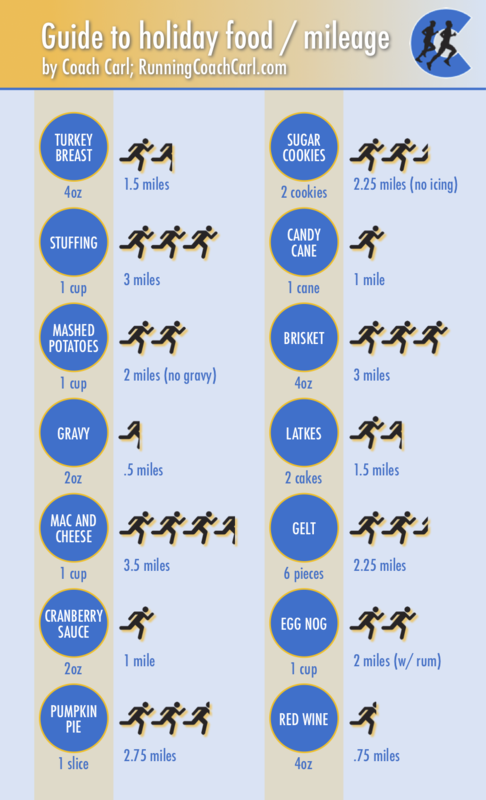 This chart is a little tongue-in-cheek way to plan out both your holiday food and your holiday mileage. 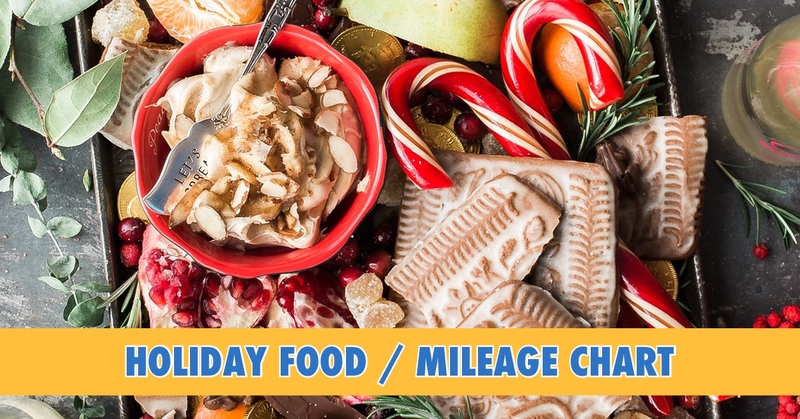 Just to be clear, the goal here is to help you make good choices about your food during the holidays rather than mindlessly snacking and munching — not to give you some kind of “punishment” of miles for what you eat. It’s the holidays, definitely enjoy them! All mileage is based on the not-at-all scientific “100 calories per mile” number, so proceed with caution!